In a large bowl, stir together the flour, baking soda, salt, white sugar, brown sugar, oats and coconut. Make a well in the center and pour in the oil, eggs and vanilla. Mix well using your hands or a wooden spoon. Roll the dough into walnut sized balls and place 2 inches apart onto the prepared cookie sheets. Flatten slightly with a fork. 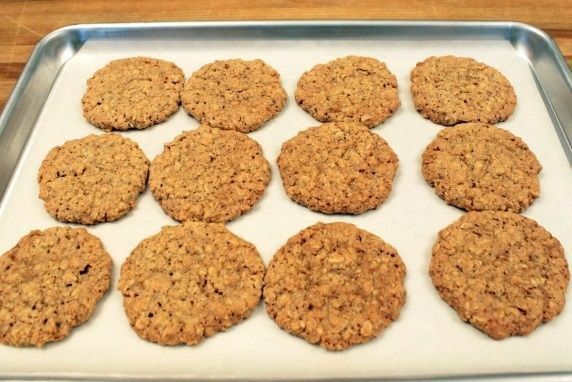 Bake for 10 to 12 minutes in the preheated oven, cookies should be a very light brown and chewy - not crisp. Cool for a couple of minutes on the baking sheets before removing to wire racks to cool completely. No comments for: "Dad's Cookies Recipe"